"Hydro's main priority is to continue to ensure safe operations and limit operational and financial impact. The problem has not led to any safety-related incidents," the company says. "The situation is quite severe. 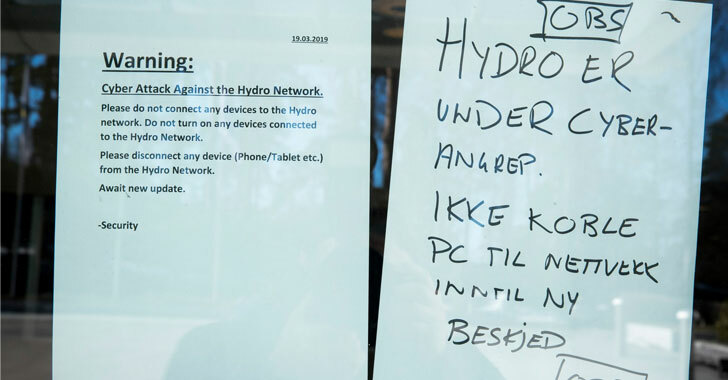 The entire worldwide network is down, affecting all production as well as our office operations," Kallevik said. "It is too early to indicate the operational and financial impact, as well as timing to resolve the situation," the company says. At this time it's unknown if the company has lost any significant data in the attack, and if yes, would it pay or already consider paying the ransom to the cybercriminals responsible for the attack whose identity is yet unknown. Headquartered in Oslo, Norsk Hydro is one of the largest aluminum companies worldwide, with operations in some 50 countries around the world and active on all continents. The company's shares went down around 1% at the time of writing due to the incident.